...but i mean, look at him. abel is quite the ham, so chatty these days, playful little limit pusher, smarty pants mcgee... HOW IS HE SO SMART?! pumpkin love is still going strong, now pronounced "puh- ooon"... however, hearing him say "sunshine" still takes the cake as far as melt worth toddler speak. he's got me laughing 'til it hurts, cheers-ing every drink, bite or otherwise, still snuggly as ever + the child has no fear... this gives me lots of them. his new favorite past time is climbing onto whatever is near by + free falling onto something below... his mini trampoline (accident waiting to happen), the couch (same story), or auntie's floor (this ended in tears). i could not love him anymore, my body seriously feels sometimes like it could burst with the amount of love i have for him. he's funny, adorable, sweet, frustrating, willful, + so much more. he has me more than on my toes lately + some days questioning if i'm doing anything right as a mother. does anyone else with a two year old feel this way? i love you abel! i'll shout it from the rooftops! 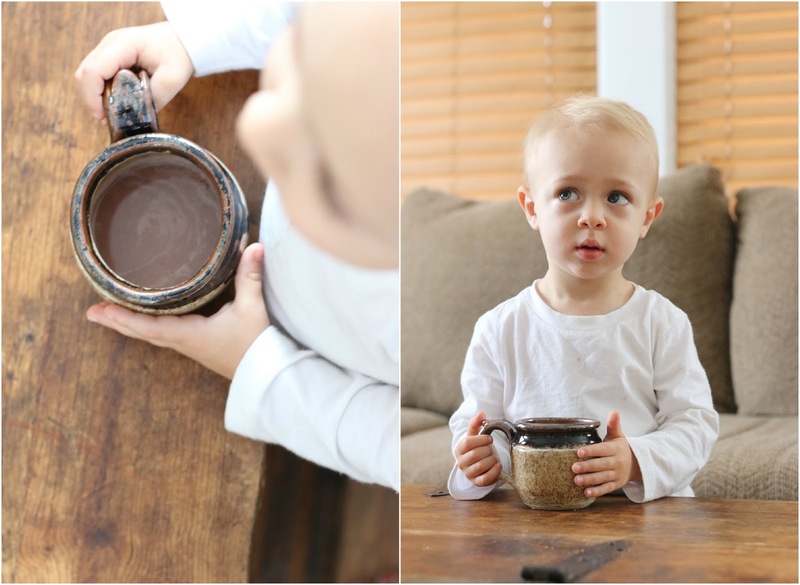 + now for that ethereal blonde hair, those chubby toddler hands wrapped around your big boy mug, piercing blue eyes, china doll skin, + hot chocolate mustache... the stuff life is made of.